Do you need a radiation detector for your drone, UAV or remote control vehicle? We make a range of radiation detectors for drones, these are light, sensitive with low power requirements and include scintillation detectors and CZT-based detectors for gamma rays and neutrons. You can survey large areas quickly. You are protected from radiation exposure. The drone can be programmed to fly the same route allowing you to compare readings over time. The UAV can fly into structures and areas that are too dangerous or difficult to enter. But you need to choose the right radiation detectors for your drone. If you are looking for a radiation detector for your drone you need to balance sensitivity, power use and weight. We make a number of radiation detectors that are perfect for drones (either flying UAVs or ground vehicles). 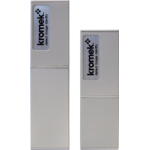 Our gamma and neutron detectors have a high-sensitivity but are low weight, small in size, have low power requirements and can operate without cooling. This means that they have a minimum impact on UAV performance both in terms of flying time and aerodynamics. 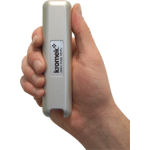 All our detectors can be used with our gamma spectroscopy software to give you detailed gamma radiation readings and isotope identification. We have helped a number of clients fit our detector to their drones. Flying drones are a popular choice but our detectors can also be fitted to wheeled or tracked autonomous vehicles. The video on the right shows Bristol University’s radiation mapping drone in action. Our team of experts can work with you to provide software drivers and help in mounting the detectors. If you need a complete ready to use radiation mapping and monitoring drone solution we offer that as well. 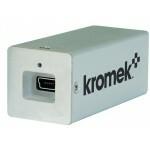 The Kromek drone system has everything you need to start mapping or monitoring a location. It includes the UAV drone or wheeled RadRover, a gamma or neutron detector (the RadRover can carry several), flying controls, gamma spectroscopy and ground mapping software, training and support. The small size and power requirements of the GR gamma radioisotope detector (CZT-based), TN15 neutron detector and Sigma gamma scintillator detectors make them perfect for drones and other in-field uses. The University of Bristol uses Kromek radiation detectors on its drone systems. Our detectors have been used on drones to map areas of radioactivity all over the world including Fukushima, Sellafield, old lead mines in Cornwall, Chernobyl, military sites and lots more.